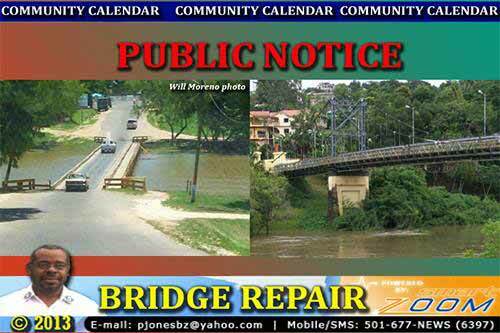 Motorists on the George Price Highway entering and leaving San Ignacio town will have to use the iconic Hawksworth Bridge to do so starting on Wednesday, December 11. The low-lying wooden bridge is being closed for urgent repairs by the Ministry of Public Works and Transport. The closure of the wooden bridge will run from December 11 to December 19. During the period of the closure, motorists are advised that the Hawksworth Bridge will be accommodating the flow of traffic in both directions.